Don’t let the name give you the wrong idea. Le Grand Hotel is grand, that’s true. In order to hold its own, at the midpoint of La Croisette, it would have to be. 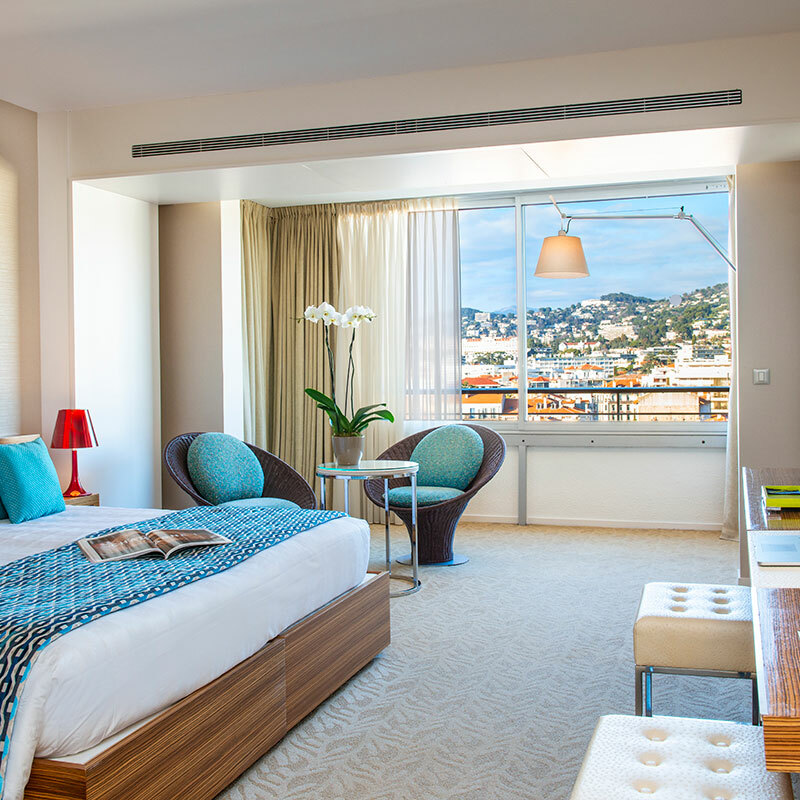 But if your vision of a French grand hotel involves colonnades and marble and furniture named after kings — not an unreasonable presupposition, all things considered — then the decidedly mid-century Le Grand has some surprises in store. Take the décor, which has a pronounced Sixties/Seventies retro edge, recalling, whether intentionally or not, the last Golden Age of the cinema. 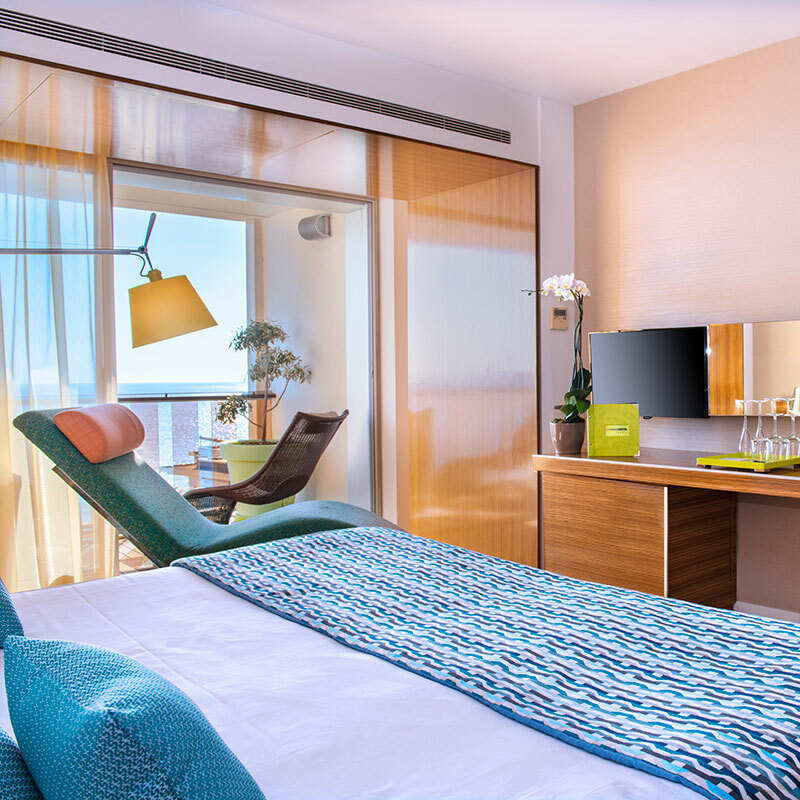 Furnishings are drawn from the masterpieces of 20th-century design, and the clean lines work in harmony with the tranquil sea views on the Mediterranean side of the hotel — book a room with a sea-facing terrace to make the most of the experience. And if your idea of grand means hundreds of rooms across several wings, Le Grand will feel surprisingly intimate. 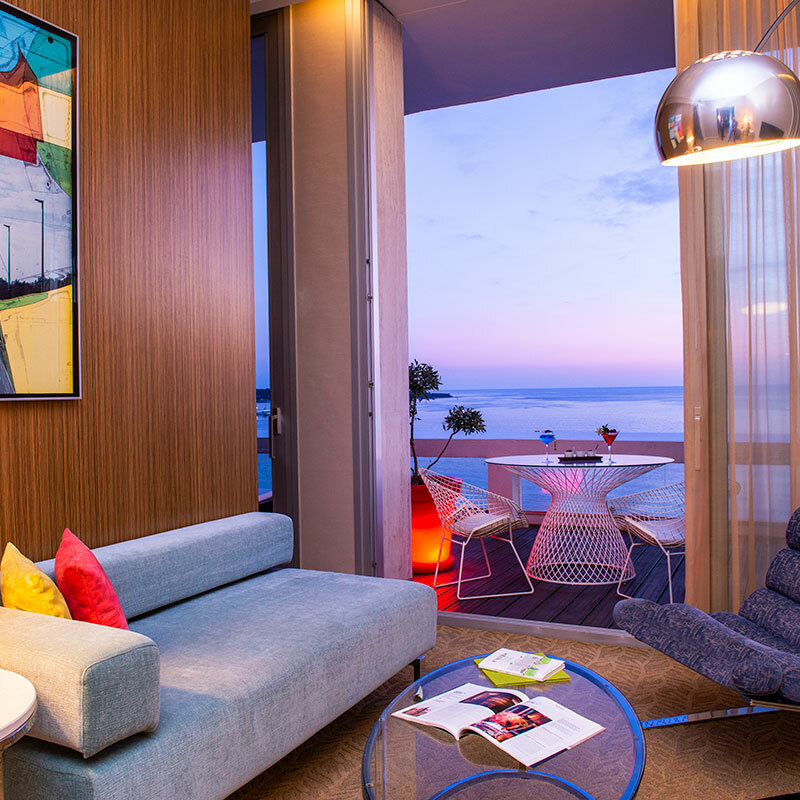 It’s still a social nexus, as any seafront Cannes hotel aims to be, but there’s a club atmosphere that’s a welcome change from the train-station ambience of the biggest hotels. The restaurant and bar are places to be seen, but never feel on display, and the beach club offers sun beds along a little pier, for some small measure of privacy.